Sonardyne International has announced that its high-performance hybrid navigation technology has been selected by the UK’s National Oceanography Centre (NOC) for the next generation of the Autosub autonomous underwater vehicle (AUV), targeted for under-ice operations. The NOC will incorporate Sonardyne’s highest performing SPRINT-Nav inertial navigation system (INS) into the new 2,000 metre depth-rated Autosub, which is being specifically developed for carrying high-performance sensors on the most demanding research missions under polar ice, hence its name Autosub2KUI, or A2KUI. SPRINT-Nav combines Sonardyne’s SPRINT INS sensor, Syrinx 600 kHz DVL and a high accuracy intelligent pressure sensor into a single housing, making it one of the smallest combined inertial navigation instruments on the market. SPRINT-Nav’s tight integration of all the raw sensor data at a low level provides excellent navigational performance and precision for subsea vehicles. The SPRINT-Nav 700 is equipped with the highest performance available sensors, including Honeywell ring laser gyros and accelerometers, and has a conservative quoted accuracy of 0.04% 2dRMS (≡0.017% CEP50). 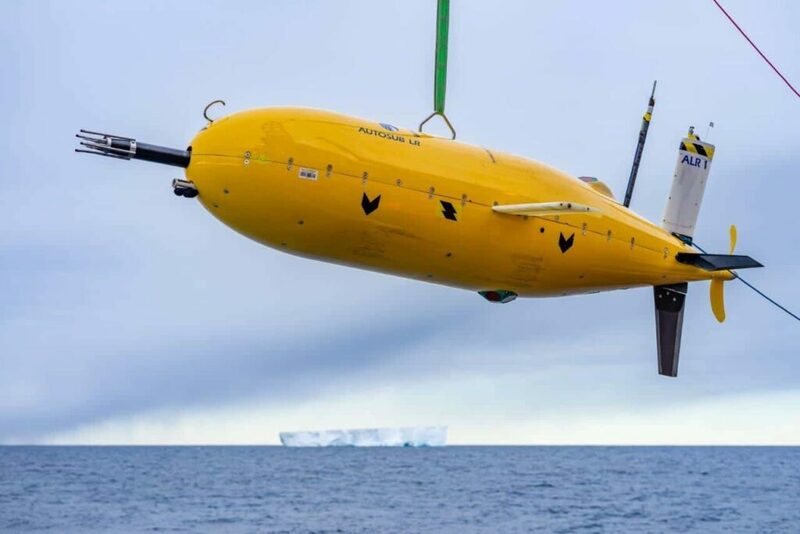 Dr Alex Phillips, Head of Marine Autonomous Systems Development at the NOC, said, “The development of Autosub2KUI by the NOC builds on the successes of previous generations of Autosub, including Autosub3, which has previously penetrated up to 60km under the ice from the ice-edge. Autosub2KUI will provide the UK science community with a next generation AUV, equipped with state-of-the art sonars and camera systems to enable scientists to create detailed maps and establish habitat characteristics of the seafloor under the ice-covered polar regions.